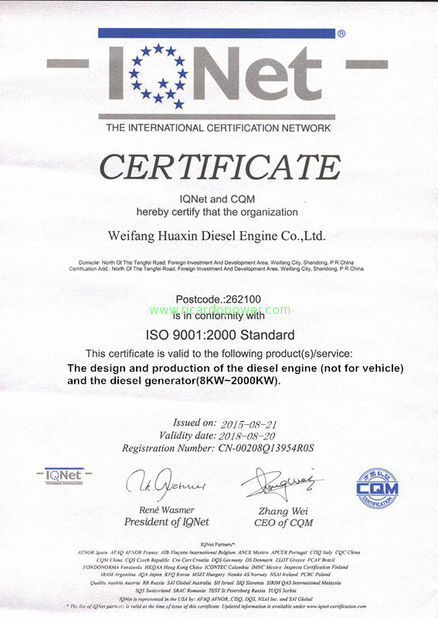 Weifang Huaxin Diesel Engine Co.,Ltd. 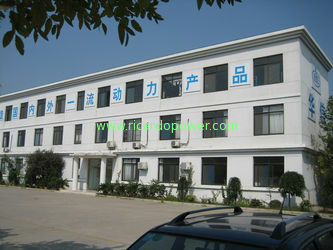 is a professional manufacturer of diesel generators, with its establishment in 2003, is located in Weifang City which is known as "Power City of China". It's only 30 minutes to Qingdao sea port, it's a good location and the transportation is very convenient. 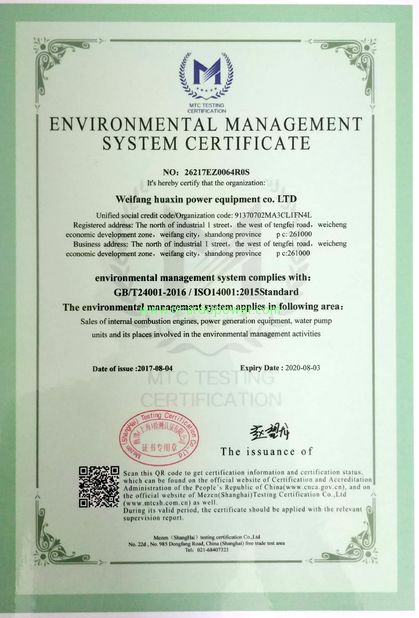 Huaxin specializes in manufacturering, sales and auxiliary service of power generators with power range from 6kw to 1000kw.It is coupled by world famous brand engine such as CUMMINS, PERKINS, DEUTZ, STEYR, RICARDO, LOVOL, etc, with world famous brand alternator such as STAMFORD, MARATHON, LEROY SOMER, etc. We also can supply most generating sets coupled by Chinese brand engine and alternator. 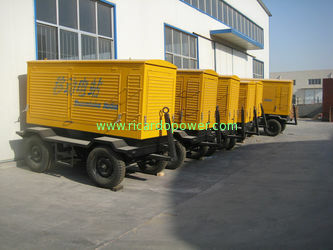 The generators cover open type, soundproof type, automatic type with ATS andmobile type with trailer. 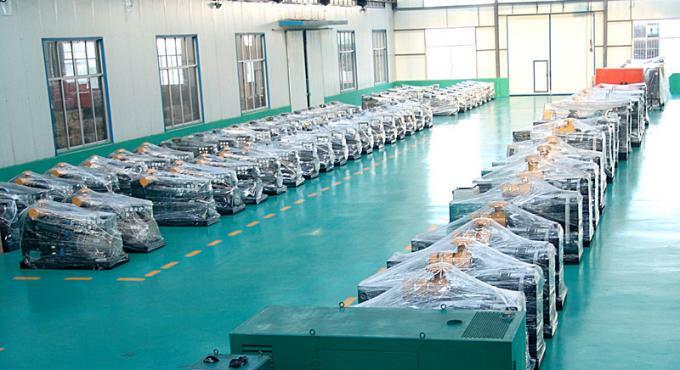 Our generators are exported to more than 20 countries in Asia, Africa, North America, Europe, and South America. 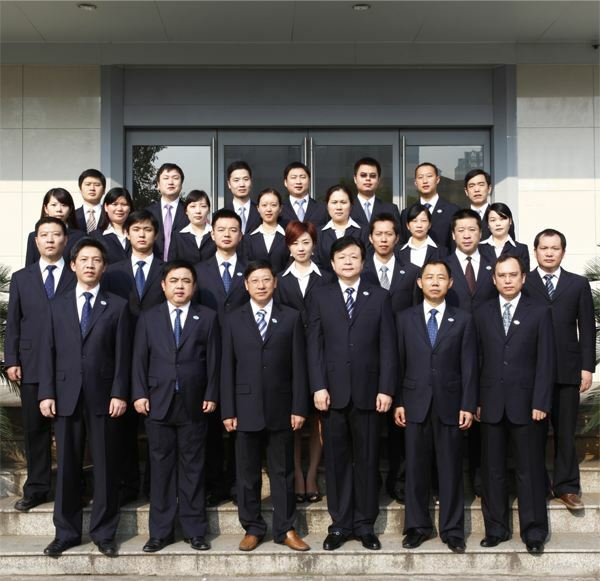 Our company has passed the ISO9001 international quality management system certification. 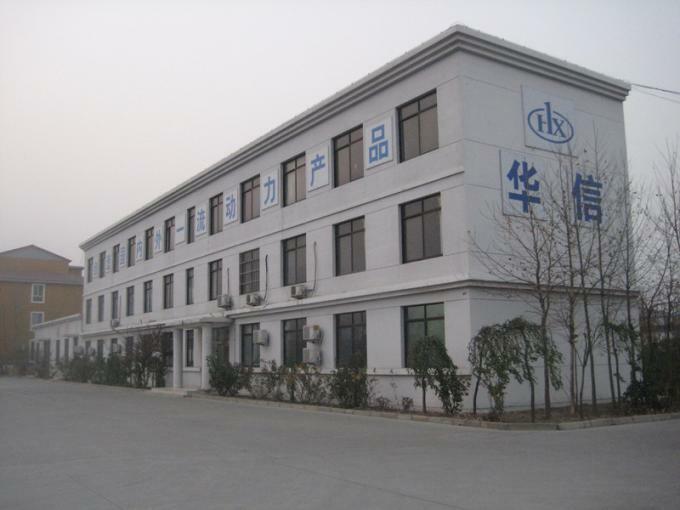 Our company was founded in the year 2003. 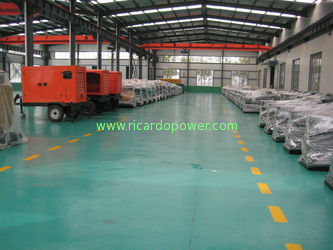 And our mainly product is the Ricardo diesel engine for diesel generator set. 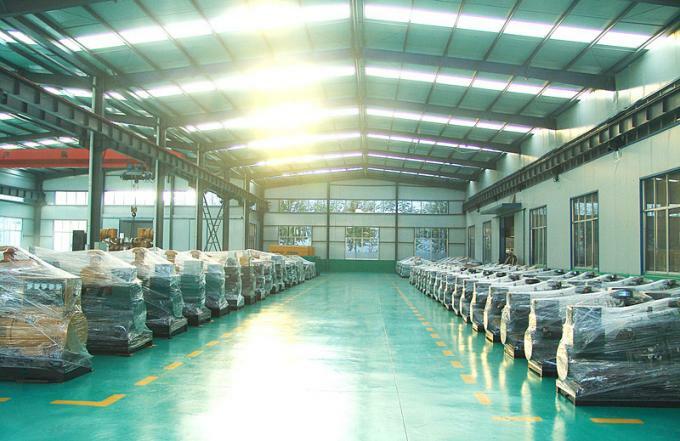 By the year 2005,we move to our new factory, its area about 40000 ㎡. 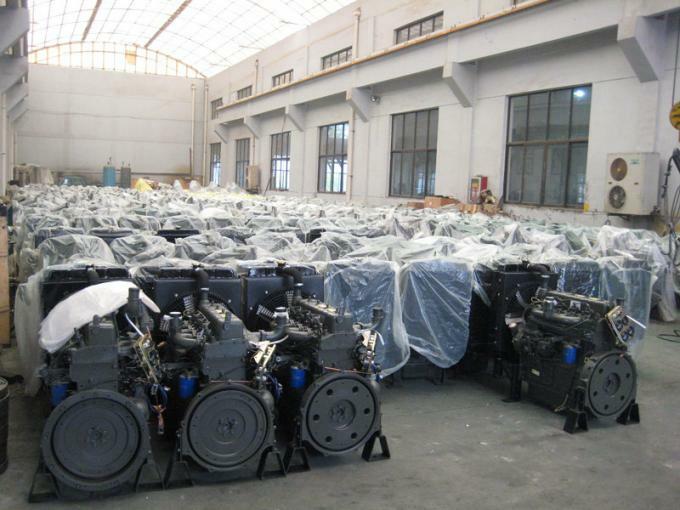 And we have the ability to produce the diesel generator,wheel loader and the rice transplanter on the basic of the Ricardo diesel engine. 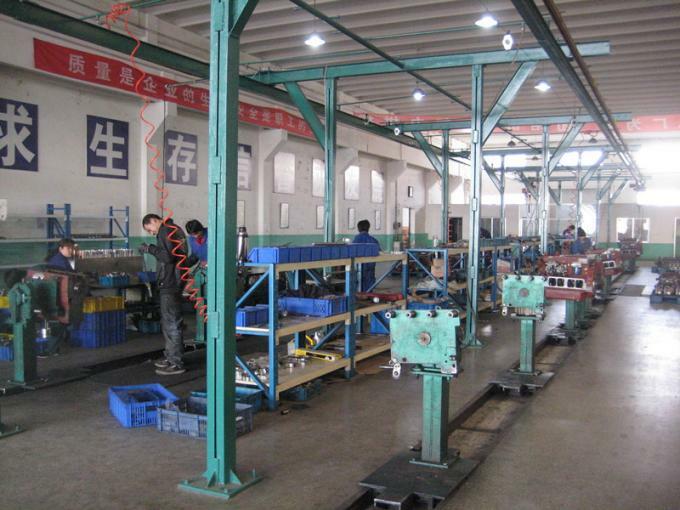 By the year 2017，after 14 years development，we have been an effective company in the field of the diesel engine and the diesel generator set.